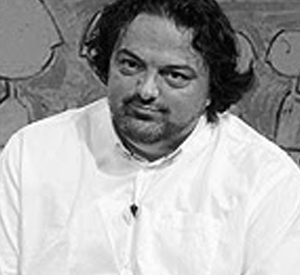 Aleksandar Trifunović is a media and civil activist from Banja Luka, Bosnia and Herzegovina, and the founder and president of the Center for Informative Decontamination of Youth (CID). CID is an NGO that produces the Buka Media Project, which also runs a TV talk show, a magazine and one of the most popular political web portals in Bosnia and Herzegovina (www.6yka.com). The TV talk show Buka, which he hosts and edits, is one of the most influential political TV programs in Bosnia and Herzegovina. Mr Trifunović has fifteen years of experience in projects dealing with issues such as hate speech, peaceful conflict resolution, war crimes, dialogue and media freedom. He is the author and the provider of a workshop on how to produce low-cost media products. He is the founder of MENSA Bosnia and Herzegovina. He is also a passionate photographer.